When Lorraine and Fiona thought about their dream wedding, they both imagined a relaxing beach vacation with their closest family and friends. 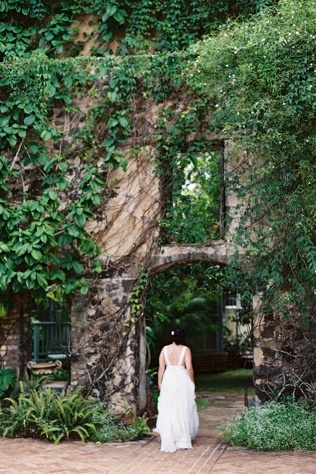 After doing some research, Haiku Mill in Maui, Hawaii seemed to be the perfect fit for the stunning Maui destination wedding they envisioned. The couple knew, however, that choosing a destination wedding meant that not everyone invited could attend. So, they got creative. “We had some guests who couldn’t afford the trip, so we included people in different ways. We paid a portion of their ticket for some of our guests to get them there and used their talents instead of sourcing someone,” the couple says. Aside from talented friends, Lorraine and Fiona leaned on their wedding planner who was local to the island. They also got a lot of inspiration from Instagram. In fact, they discovered their beloved venue that way, and ended up preferring the social media platform over all else. Knowing the grandeur of their vision, the couple thought proper communication was key to achieving a relaxing destination wedding. Therefore, they opted to stay away from communicating with vendors via email and just scheduled time to make phone calls together. 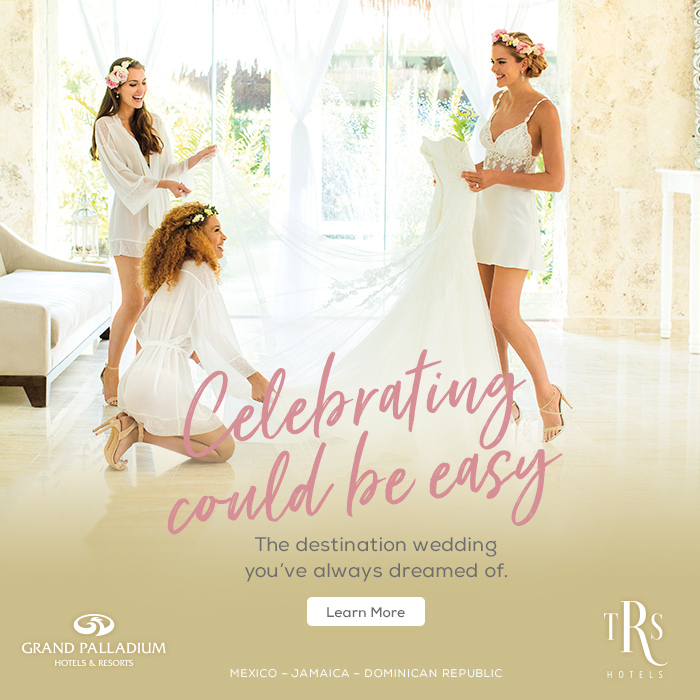 According to the couple, aside from the usual minor issues that can happen when coordinating a destination wedding from afar, troubles were few and far between. “We didn’t have many logistical issues as we booked our flights and accommodation early and opted to share our itinerary with everyone so they could copy it or tailor their own,” the couple says. With guests sorting out their own itineraries, the pair had more time and effort to put toward small details. For example, the brides personalized luggage tags for guests that also doubled as place settings and wedding favors. For the kiddos, a good friend of the couple made kids packs that included bubbles, toys and coloring books and crayons to keep them entertained. 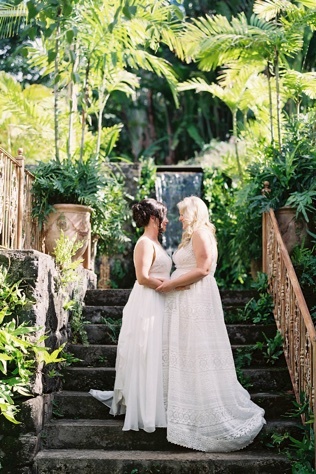 Ultimately, the couple says their Maui wedding was everything they wanted and more because they did not skimp on the venue or wedding planner. “If your venue is right and beautiful you will save yourself in the long run as you don’t need too many extras to make the place magical. You need a good planner to get everything done… you are miles away and not an expert, trust their local knowledge,” the brides say. 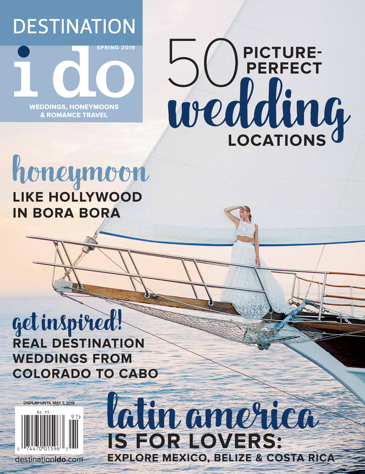 When it comes to achieving your dream destination wedding, like Lorraine and Fiona, knowing your vision and trusting your team are the key to planning with ease. Ideal Properties for Island-Hopping Families in Hawaii. It’s said that opposites attract, but sometimes even the smallest of similarities is what kindles the flame of love. 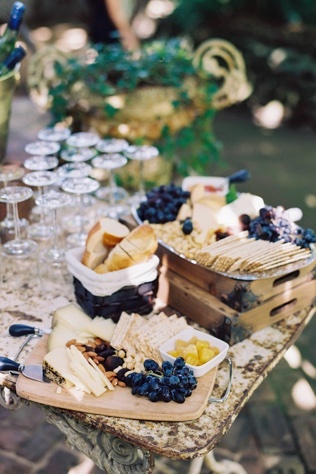 This gorgeous, real-life Maui destination wedding is one of our all-time favorites! Easy for you or your guests to get to and much to love when you land – Maui is magic.